Benefits Administration Just got easy. From benefits enrollment to COBRA administration, our cloud-based platform makes these processes simple. 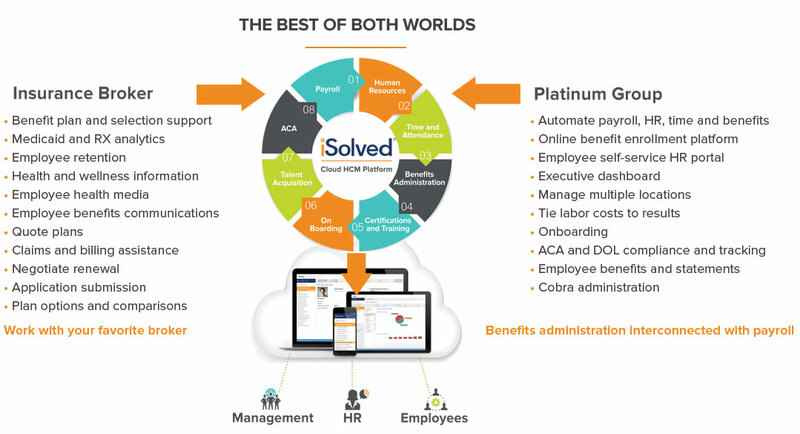 Platinum Group’s iSolved Benefits Administration technology allows employers to offer employees an easy online benefits enrollment experience. 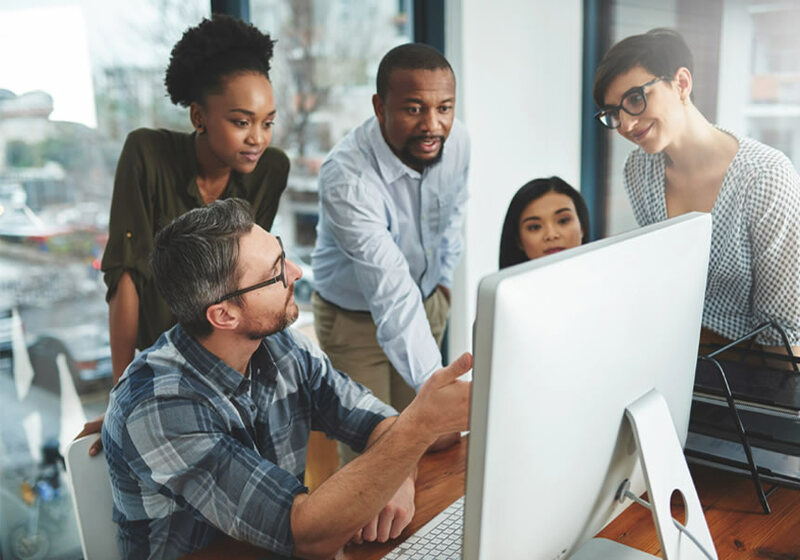 Employers can offer open enrollment, increase employee satisfaction and manage important employee data in one single database, creating a better experience for everyone. iSolved makes open enrollment simple and easy by allowing managers to create custom welcome messages specific for the team. They also make it easy for employees to review and acknowledge critical documents during the enrollment process. Email alerts can be scheduled to make sure enrollment deadlines aren't missed. Certain events in your life can affect your benefits coverage. If you experience a qualifying life event, iSolved helps manage and simplify the benefit changes that occur when something different happens. Manually managing payroll with 401k deductions and recordkeeping wastes a ton of time. iSolved's cloud-based, single database payroll solution simplifies and automates this process. Your iSolved payroll syncs with your deductions. Employers can easily add new employees, automatically update defferals and communciate with participants become eligible. Platinum Group makes generating Benefits Statements a breeze. Employers can empower employees with the ability to generate and update their employee benefits statements and information. iSolved's robust ACA solutions ensure customers have accurate and complete data in place to complete the required IRS Forms 1094 and 1095. Forms will automatically populate based on eligibility rules. Designate aggregate group membership, minimum essential coverage and minimum value coverage and capture employee ACA status, benefit eligibility and offers of coverage. As COBRA laws, administration, and compliance requirements are increasingly becoming more challenging, our iSolved platform allows employers to maintain documentation, update required notices, and keep up with legislative changes to stay in compliance. Our COBRA service includes: New Enrollee Notices, Qualifying Event Notices, Premium Collection, and Eligibility Management Services. Connect iSolved to benefit carriers and simplify your benefits process. Employers can easily manage benefits through iSolved and all updates are automatically transmitted to the benefit carriers as often as needed. iSolved can support multiple insurance carriers through an automated interconnected, simplified process.